The Professional Development League replaced the Under-21 Professional Development League 2 from 2016/17, bringing together 21 Under-23 sides from Category Two Academies in two regional divisions before a national play-off for the honour of being overall champions. The competition is one academy tier below Premier League 2, where the 24 Category One academy clubs play, and is split into the North and South Division, with no promotion or relegation. Teams in the Professional Development League have applied for ‘Category Two’ status in the Elite Player Performance Plan (EPPP). Currently there are 11 teams in the North Division and ten in the South. Each club plays every team in their regional league twice, once home and once away, and the two top sides from each division go into a play-off for the overall title. 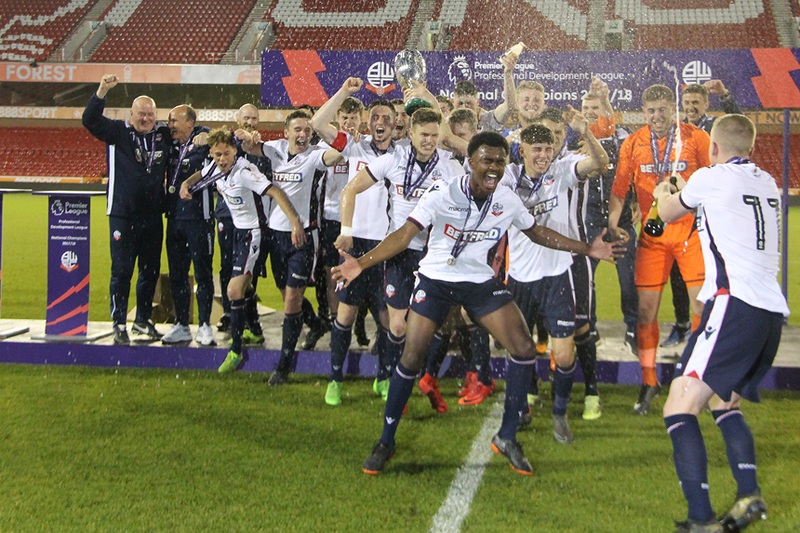 Bolton Wanderers were the 2017/18 National Champions, beating Nottingham Forest in the final. They also won the North Division. Sheffield Wednesday beat Hull City 3-1 to become National Champions in 2016/17, while Huddersfield Town won the title in 2015/16 after beating Sheffield United in the national play-off final. As with Premier League 2, clubs are only allowed to field three outfield players over the age of 23, or born after 1 January 1994, plus the goalkeeper is also permitted to be over the age limit. Each club must host at least five league matches at their main stadium during the course of the season, which helps to enhance the matchday experience for the young players and fans. Member clubs' training grounds or Academy venues will be permitted for the staging of other home matches over the course of the league season.